The Norwegian government is seeking to prohibit face-covering garments in all schools nationwide, having sent the proposal for comments to educational institutions. The ban’s advocates say the garments prevent students from communicating with each other. The bill, put forward Monday, would cover both private and public institutions, including kindergartens, schools, colleges and universities. It would apply to students and staff alike. "We do not want clothes covering the face in nurseries, schools and universities," said Education Minister Torbjorn Roe Isaksen, who introduced the bill along with Immigration Minister Per Sandberg. The ban will also affect newly arrived immigrants taking part in language courses and educational programs for refugees. “Face-covering garments such as the niqab or burqa do not belong in Norwegian schools. The ability to communicate is a basic value," said the minister of immigration, who is from the Progress Party, known for its anti-immigration policies. 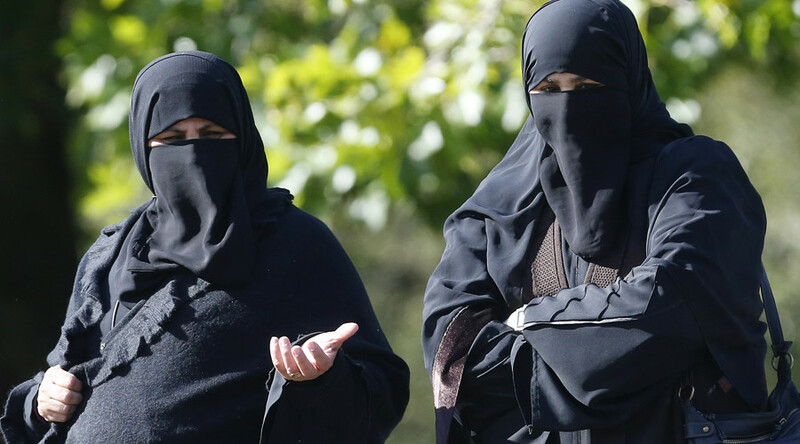 The ban implies only those garments which cover the face, such as Muslim full-face veils called niqab, balaclavas or face masks. It won’t apply to hijabs or any other headscarves that leave the face exposed, the government says, adding that exceptions will be made for those wearing face-covering items for educational, health, climatic or safety reasons. With the ban already being implemented by several schools in Oslo, Østfold and Akershus, the government says it now wants the regulations to be nationwide. The draft bill has been sent to the institutions that. would be affected, inviting their comments before September 20. "We have every reason to believe this will be approved by parliament," Torbjoern Roe Isaksen told Reuters. Marianne K. Andenæs from the Norwegian Student Organization says that right to education must be applied to everyone, including those whose personal choices are difficult for politicians to understand. With France becoming the first European nation to introduce restrictions on wearing full-face coverings in public in 2011, other countries across Europe such as Belgium, the Netherlands, Bulgaria and German state of Bavaria picked up the policy. Earlier this month, Austria adopted a law that will fine women wearing Islamic veils, burqas and niqabs, starting from October.